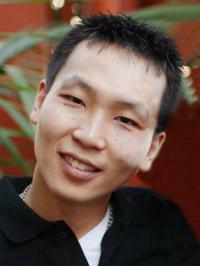 It is with great sadness that we announce the passing of Kunyoung Alex Kim on June 8, 2014 at the age of 31 years. He will be sorely missed by his girls: Morgan, Mila and their mother, Megan. He leaves to honour his memory grandmother, Seung Lee Park; parents, il Jong Kim and Jung Hee Ahn; brother, Gunho Kim (Yujung Lee); as well as other aunts and uncles, cousins, the entire Masuzumi family and all his Canadian family and friends. A Trust Fund has been created: Greg Lopatka in trust for Morgan and Mila, CIBC transit #06069, account #0105485487. Donations would be greatly appreciated.